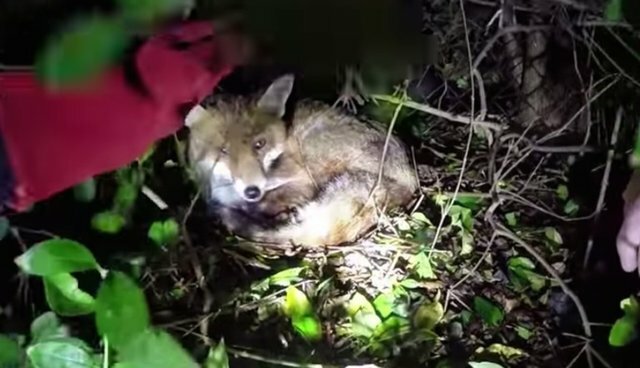 Simon Cowell, founder of Wildlife Aid Foundation (WAF), received a call one cool October night about an injured fox who was holed up in the hedges behind a suburban home in Surrey. Urban red foxes are quite common in England, though are unfortunately often considered to be pests by homeowners. 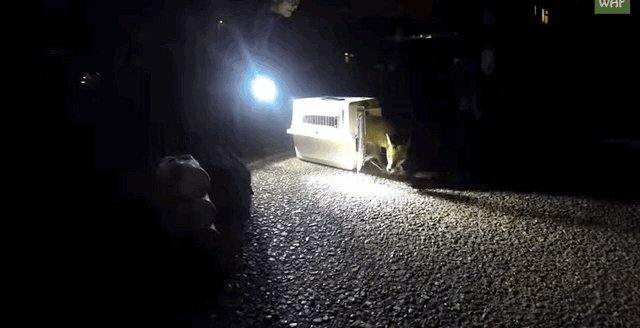 This homeowner, luckily, did not take it upon himself to handle the fox, and instead contacted WAF. The little critter was spotted upon Simon's arrival, huddled up beneath the leaves of a bush in the backyard. Simon carefully pulled the fox out of the makeshift burrow to examine her. 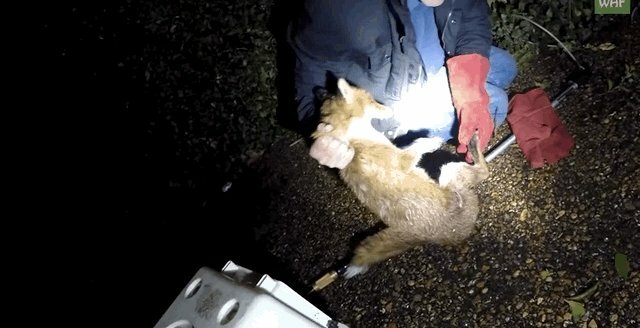 The fox had a rather large wound on her right back leg, which was making it difficult for her to move and sapping her of energy. The homeowner who found the fox told Simon that he had been feeding her bits of sausage and cheese while waiting for WAF to arrive. The fox was taken in to WAF's headquarters, and her wound was treated and sutured. In about two weeks, the little fox was back on track, and was eating well again. It was time for her to return back to her wild home. 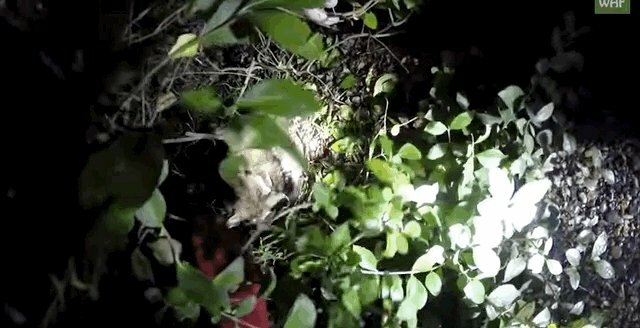 Simon and other rescue workers released the fox exactly where they found her - in the hedges, at night. The fox was hesitant about leaving the carrier, but soon enough she made her way back under the hedges and to her den. If you see a fox whom you believe may be injured, always call a wildlife rescue center first, rather than handling the situation yourself. The RSPCA also has some helpful tips for coexisting harmoniously with local foxes.